The latest hate crime statistics are released today by the Home Office. The number of hate crimes recorded by the police in England and Wales in 2015/16 which were motivated by one or more of the following five monitored strands: race, religion, sexual orientation, disability or transgender identity. Information on the types of offences associated with hate crime. Analysis of how hate crime offences recorded in 2015/16 were dealt with by the police. Provisional information on the number of racially or religiously aggravated crimes recorded by the police around the time of the EU referendum. In 2015/16, there were 62,518 offences recorded by the police in which one or more hate crime strands were deemed to be a motivating factor. This was an increase of 19 per cent compared with the 52,465 hate crimes recorded in 2014/15. o 858 (1%) were transgender hate crimes. It is possible for one hate crime offence to have more than one motivating factor which is why the above numbers sum to more than 62,518 and 100 per cent. There were increases in offences recorded for all five of the monitored hate crime strands between 2014/15 and 2015/16. As stated by the Office for National Statistics (ONS), action taken by police forces to improve their compliance with the National Crime Recording Standard (NCRS) has led to improved recording of crime over the last year, especially for violence against the person offences which constitute a third (33%) of recorded hate crime offences. Together with a greater awareness of hate crime, and improved willingness of victims to come forward, this is likely to be a factor in the increase in hate crimes recorded by the police in 2015/16 compared with the previous year. 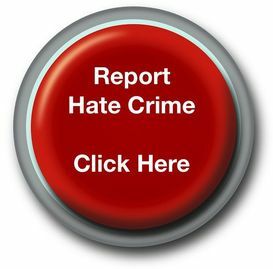 Due to the widespread reporting of and interest in hate crime around the time of the EU referendum, information has been included in the statistical bulletin on the levels of hate crime recorded around the referendum which took place on the 23 June 2016. There was an increase in the number of racially or religiously aggravated offences recorded in June 2016, followed by an even sharper increase in July 2016. The number of offences declined in August but remained at a level higher than prior to the referendum. The number of racially or religiously aggravated offences recorded by the police in July 2016 was 41% higher than in July 2015. This level of increase in these offences broadly mirrors the increase in hate crime reported by the National Police Chiefs’ Council (NPCC) over the summer.